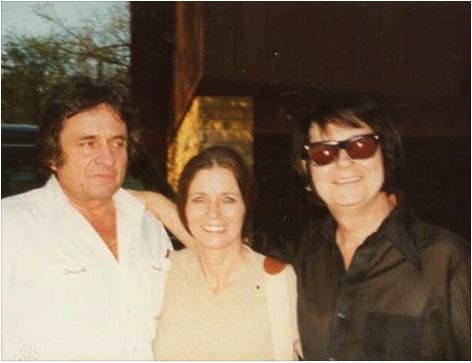 Johnny Cash & Roy Orbison were friends since before their Sun Records days and raised their children together. The two families were even neighbors in Hendersonville, TN. That’s June Carter Cash in the picture.